Perth-based energy giant SSE on Friday cut its full-year profit forecast as the suspension of payments from a back-up power scheme hurt its income. A European Union ruling last year forced the UK to halt payments under its “capacity market” scheme, which pays power generators to be available in times of high demand. “SSE’s working assumption is that it will not be able to recognise the remaining £60m income derived from the Capacity Market for 2018/19 in the current financial year, said SSE. 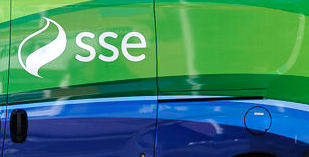 SSE said it is now working on options for its energy service business after the collapse of plans to merge retail operations with Innogy’s npower last year. “Future options are now being assessed for SSE Energy Services,” said SSE. “These include: a standalone demerger and listing on either the premium or the standard listing segment of the Official List; a sale; or an alternative transaction. “These options are being assessed, taking into consideration the best interests of customers, employees and shareholders, and with the support of external advisers. SSE CEO Alistair Phillips-Davies said: “We continue to make good progress in our core businesses of regulated energy networks and renewable energy, complemented by flexible thermal generation and business energy sales. “We have also demonstrated our ability to create value for shareholders through the recent sales of stakes in our telecoms business and selected onshore wind farms with expected proceeds of over £1bn.